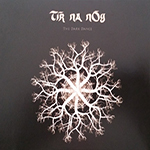 Tír na nÓg is a legendary Irish prog folk duo who released their first album in 1971.They have made a few reunions since disbanding in the seventies and also released some new singles and a live album but The Dark Dance is their first new studio album in over 40 years! Keith from Fruits de Mer is obviously a big fan of theirs and released their 7" EP I Have Known Love in 2014. The EP already featured four tracks from the CD album The Dark Dance and the fans were very happy. Now Keith has put out "Ricochet", one of the best songs from the album backed with a very nice, crystal clear sounding live version of "Tír na nÓg". Considering that there is also a very rare (50 copies) lathe-cut promo 7" of "Sympathic Love" with yet another live track on its B-side, you can say that most of the ten-track album is now out on vinyl as well! What's great about this band is that they seem to have lost none of the magic and feel they had in the early days. The songs are as beautiful, fragile and great as ever, and if you are a fan of original prog folk like Pentagle or Nick Drake you will love this album. 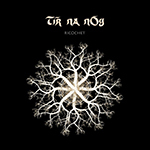 Tír na nÓg has a strong Celtic vibe in their music, especially on some tracks like the instrumental title track that ends the album. The music is usually rather melancholic, like the opener "You In Yellow", but there are also some more positive moments like on the wonderful "I Have Known Love" and the bit jazzy "Andria". The instrumentation is pretty sparse including mainly just acoustic guitar and violin spiced with some percussion, bass, autoharp etc. I really enjoy both the vocals and the instrumentation, and the album is very well produced. The Dark Dance and Ricochet 7" are both essential for all lovers of progressive folk so go and get them! The band is also in the middle of their U.K. tour so check them out live too if you can.